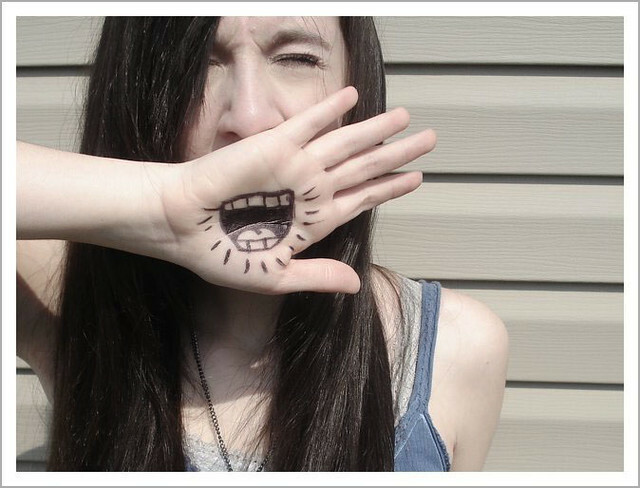 Mouthing off | Flickr - Photo Sharing! My sister and "her" idea. I ain't an artist, CLA.W, and 71 other people added this photo to their favorites. My friend always did this. Thank you for sharing this wonderful picture. We're using it to remind people it's Comment Appreciation Month on our website. Thanks for licensing your photo for re-use. I used it (with credit) to illustrate an answer to a question about "How can I get my question answered at Quezi?" The photo says "shout" very nicely! Thanks for making this photo available under the creative commons license! Really nice photo. I'm using it for a blog about social media, the digital word of mouth. I'll add my voice to the chorus of "Hey, I love this and I used it on my blog!" Because I did. Thanks for the license. You're brilliant. I'm sharing on my solar energy website. Thanks. A great photo! I've included it - with attribution to you per the Creative Commons stipulations - on our talk show's web-page at www.publicbroadcasting.net/kuer/news.newsmain?action=arti.... KUER is an NPR affiliate in Salt Lake City, Utah. I used this photo on my website (www.FatFreeMarketingGroup.com) with credit and a link back. Thanks for making it available.